A business flourishes when its customers repeatedly come back to purchase more products. But the businesses have to put in place some strategies to retain the customers. Loyalty cards are a marketing strategy that works well for the businesses by repeatedly bringing back the customers to a particular business. The stores, groceries, department stores and many others issue loyalty cards to the regular customers to reward them for making frequent purchasing. The reward to the customers comes in the form of discounts on shopping. 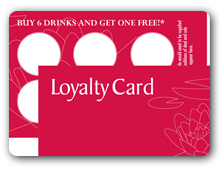 Loyalty cards holders can also win shopping points once they have made a certain amount of purchasing. Clearly, these cards help a business grow rapidly by offering rewards to the loyal customers. At ID Tech Solutions India, we are leading loyalty cards manufacturers in India. Our team of experts understands how crucial a loyalty program is for your business. We stride to ensure that our designed loyalty cards are your perfect marketing tool created for your specific sales promotion strategies when you want to retain increasing numbers of customers. Being prominent loyalty cards manufacturers, we print exclusive and impressive plastic loyalty cards that are custom built and designed to suit your business and customers for your loyal customers. We carry an expert sales team to make an assessment of the business you are running so that we can create plastic Loyalty cards that draw admiration from your customers. Our custom made cards encourage your customers to take advantage of the schemes and discounts and other sales promotion strategies you are offering. Our highly professional approach as loyalty cards suppliers ensures that you get custom printed loyalty cards that add to your brand image. As a prominent loyalty cards manufacturers in Delhi, we deliver the cards that remind the customers of the high reputation your business and institution carries. Your business may be in its initial stage and may need only a one sided card, or you are running a business that requires your customers to have more detailed and embossed custom printed loyalty card, our expertise goes a long way in enhancing your business sales. You can fully rely on our high quality loyalty cards having an encoded magnetic stripe.